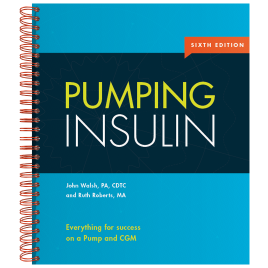 The t:slim G4 Pump, an insulin pump paired with the popular Dexcom continuous glucose monitoring system, has received FDA approval and Tandem is ready to take your orders. The t:slim G4 conveniently combines CGM graphs and trend information with current insulin delivery activity on a single color touch screen, also reducing the number of devices you need to carry. You will be able to see color-coded trend lines, programmable high and low alert settings, the trend arrow, and insulin on board (IOB). Shipments are set to begin in October 2015. 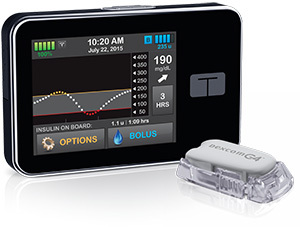 The t:slim is not the first pump/cgm combo device but Dexcom® sets the standard for accuracy and performance in the continuous glucose monitoring field. Tandem’s touch screen has also been held in high regard since it’s release. The combination of these two great technologies should be a great benefit and take us even closer to the device connectivity we desire.